Janet Hradil is a Registered Holistic Nutritionist, Registered Nutritional Consultant and Practitioner, an Iridology practitioner, and a holds a bachelor's degree from the University of McMaster in Hamilton, Ontario in Environmental Health. Janet's nutritional focus is helping individuals improve their overall health, fitness and fat loss. Janet is the Director of Nutrition for Ebodi.com. and was involved with the creation of many of the highly innovative and customized nutrition plans. In addition, Janet is also actively involved in health promotion and education. Bruce Krahn (www.brucekrahn.com) is the President of ebodi.com- a leading nutrition and fitness educational resource providing personalized programming for individuals around the globe. Bruce has spent more than 15 years educating, motivating and training people to be their best. When it comes to getting in shape and optimizing your health he knows what works and what does not. 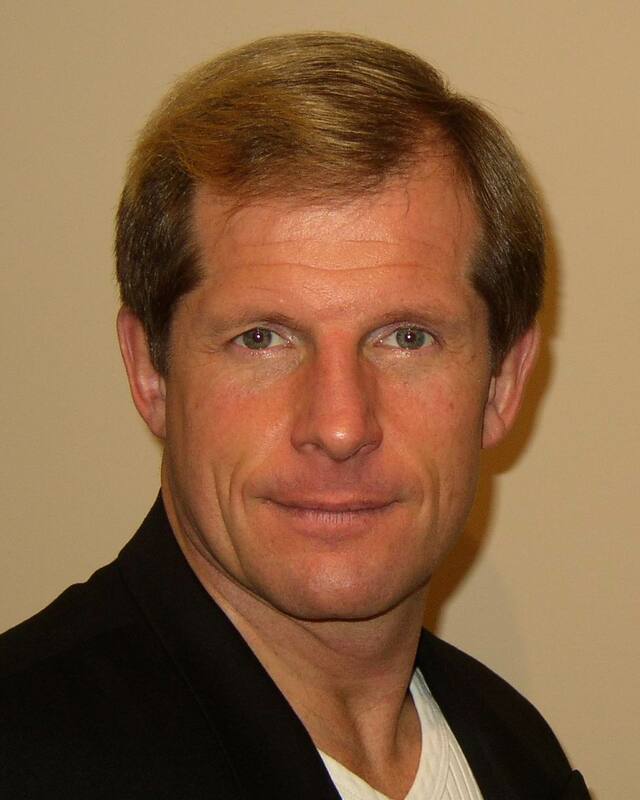 He has worked closely with some of the world's largest sport supplement companies including Bill Phillips' Body For Life Challenge and has trained people from all walks of life including consulting with such celebrities as Criss Angel, Nelly Furtado and Tom Cochrane. Bruce takes a holistic, mind/body approach to health & fitness. Believing that one should practice what they preach, he has appeared in several magazines including Men's Exercise and Exercise For Men Only. He has also made numerous television appearances including City Line, Wylde on Health, CHCH News and City Pulse 24- "The Perfect Fit". Bruce is a professional speaker and the author of The Fat Fighter Diet (www.thefatfighterdiet.com) as well as resident fat loss expert for The Good Life Show with Jesse Dylan, heard coast to coast on the Sirius Satellite Network. As a channel partner with The Good Life Show, Bruce can be heard weekly speaking with Jesse Dylan about health, fitness and fat loss. You can consult with Bruce live via www.ebodi.com. Virginia Pumphrey R.H.N., R.N.C.P., is a Natural Health Consultant who owns and operates Healthy Lives, a successful natural health practice where she meets with individial clients on needs and applies individualized programs with ongoing support. Virginia's business mission incoporates the promotion of a healthy lifestyle for the benefit of many people by combining her professional business and health education with many years of practical experience to care for her client's health and mentor similarly minded people with or wanting to develop a successful consulting practice. Virginia has studied with the Canadian School of Natural Nutrition, Tree of Light Institute, International Institute of Reflexology, and numerous natural health professionals. She is a member of the International Organization of Nutritional Consultants and the International Institute of Reflexology. Known as Toronto’s leading alternative health expert, Bryce Wylde is a highly knowledgeable and respected homeopathic doctor and functional medicine nutritionist. Bryce’s speaking engagements and print media have been extensive including Bell Canada, IBM, Project World, Retired Teachers of Ontario, Toronto Star, Alive Magazine, Now Magazine, Healthy Time and a spokesperson for several major professional line supplement companies. Bryce is on the advisory board of the Ontario Homeopathic Association to HPRAC (Health Practitioners Regulations Act) for the purpose of re-regulation of Homeopathic Doctors in Ontario. He is CEO of “Dr. In Dr. Out” a corporate wellness company and he teaches part time at the Ontario College of Homeopathic Medicine. As the director of natural medicine at the Vaughan Medical Centre, a state of the art multi discipline facility in Toronto, Bryce is constantly in touch with the needs and desires of today’s healthcare consumers. For more information please visit http://drwylde.com. Tanya Wylde is a registered Naturopathic Doctor, a Certified Personal Trainer and Fitness Instructor Specialist. Tanya Wylde has a special intereste and experience in guilding overweight patients through a healthy weight reduction program focusing on optimal nutrition and exercise. suppressing the body's innate ability to heal. For more information please visit http://drwylde.com. as one of Canada's foremost experts on sports nutrition, health and fitness. also the Director of Education for INBA Canada. professionals world wide. For more information please visit www.coryholly.com.